A career as a Certified Nurse Assistant will put you on the front lines of patient care. CNAs are vital to the day to day activities in health care settings, especially in long-term care where they attend to patients’ personal care needs. Their contributions are also valuable in hospice facilities, home health, clinics, and hospitals. Nursing assistant programs help students develop the skills to work to care for patients. 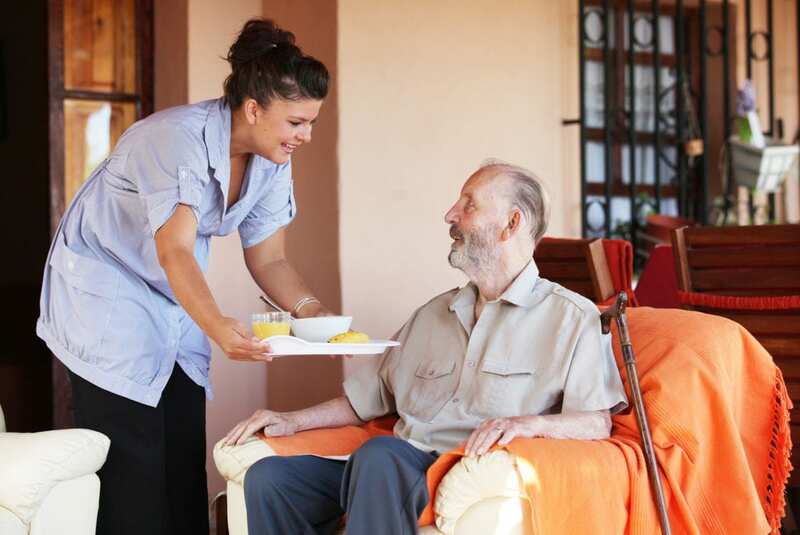 Apart from skills, CNAs must be compassionate and patient to assist residents with personal care activities, such as feeding, bathing, and dressing. They work under the supervision of a registered nurse or licensed practical nurse to provide the bulk of direct care services in long-term facilities. Other common tasks they perform include patient charting, responding to call lights, keeping patients’ rooms clean, assisting with diagnostic procedures, and monitoring patients’ physical and mental well-being. Many CNAs use the profession as a first step to a career in nursing. In fact, some of the best nurses started their career as CNAs. Healthcare Academy of California prepares adults for an exciting career as a nursing assistant. The program covers 21 days of classroom instruction, open lab, and supervised patient care experiences in a long-term care facility. Students will be well prepared for success on the Nurse Aide Competency Evaluation and to serve healthcare professionals in long-term care facilities. Instruction includes but is not limited to medical terminology, anatomy and physiology, measuring vital signs, infection control, range of motion, feeding and nutrition, the role and responsibility of nurse aides, basic nursing skills, and hospice care. The weekday class meets Monday through Friday from 7:00 am to 3:30 pm for 4 weeks. The weekend class meets Saturday and Sunday from 7:00 am to 3:30 pm for 11 weeks. New classes begin every month. Tuition for the program is $1,700 and includes the course textbook, state exam fee and registration, state manual, livescan fingerprint, and two sets of scrubs. A flexible payment plan is available. International Health Group admits new nursing assistants each month. The Nurse Assistant Certificate program prepares students to enter the workforce as competent providers of care. The fast-track program can be completed in 22 days. Students are prepared for success on the state certification exam. IHG has a proven 90 to 100 percent pass rate on the state exam. In accordance with state guidelines, the curriculum includes theory and practical training in the skills lab and a long-term care facility. Course topics include medical terminology, basic nursing skills, basic anatomy and physiology, ethics and communication, patients’ rights and independence, personal care skills, feeding and nutrition, and rehabilitative techniques. The weekday class meets Monday through Friday from 7:00 am to 3:30 pm for one month. The weekend class meets Saturday and Sunday from 7:00 am to 3:30 pm for 10 weeks. The evening class meets Monday through Thursday from 4:00 pm to 8:00 pm for 10 weeks. Applicants must deposit $300 to reserve a seat in the program. The Certified Nursing Assistant Program at MiraCosta College prepares students for entry-level employment in acute and long-term care facilities. Interested persons must enroll in Nursing 160 to be admitted to the program. Admission is based on a first-come, first-served basis and is limited to 20 students per class. The accelerated program can be completed in 8 weeks or 6 weeks. The curriculum covers 184 hours – 79 hours in the classroom and 105 hours of clinical instruction. Classes meet Monday and Tuesday on campus and Wednesday, Thursday, and Friday on the clinical site. Graduates will be eligible to take to state certifying exam, which will be arranged each semester. The school’s pass rate is 97% on the written exam and 92% on the skills exam. The approximate cost of the program is $600 and includes tuition, physical exam, uniforms, TB test, CPR card, and the state exam. Western Medical Training Center’s 22-day Nursing Assistant program prepares students for employment in an acute or long-term care setting. The curriculum covers 174 hours of instruction: 51 hours in the classroom, 20 hours of skills lab, and 103 hours of supervised patient care experiences in a real-world environment. The 22-day nursing assistant program at the Western Medical Training Center prepares students for an entry-level career as a Certified Nursing Assistant. The curriculum includes 51 hours of classroom lectures, 20 hours of lab practice, and 103 hours of real-world experience in a clinical setting. Weekday classes meet Monday through Friday from 8:00 am to 2:30 pm. Weekend classes meet Saturday and Sunday from 7:00 am to 3:30 pm. Evening classes meet Monday through Friday 4:00 pm and 8:00 pm. Tuition costs $1,600 and includes CPR certification, livescan fingerprinting, stethoscope, blood pressure, 2 sets of uniform, skills and training videos, job placement, two extra review days, and state exam administered on campus. Summit College’s CNA program helps adults develop the competencies to practice as certified nursing assistants. Committed instructors offer personalized instruction to help students develop the skills that employers need. Students who successfully complete the program will be prepared for success on the state certification exam and to provide excellent care in acute and long-term care facilities. Through classroom lectures and practical experiences, students learn how to measure vital signs, communicate effectively with patients and their families, manage volatile situations, and assist patients with daily activities. Areas of study include principles of safe care, patient psychology, nutrition and hydration, mobility, legal and ethical issues, use of medical equipment, patient safety, and patients’ rights. Class sizes are small to maximize student interaction and instructor support. Summit offers flexible class schedules to accommodate working professionals. Tuition for the program costs $1,254. Books and supplies cost an additional $76.